There are many unpleasant situations travelers do not want to experience as they attempt to board their flights. From stolen luggage to working through the frustrating situation of delayed flights, travel troubles can haunt flyers at every turn. The worst of these may be the inability to print a boarding pass from home due to being selected for the dreaded "SSSS" list. When the brand "SSSS" appears on a boarding pass, it means more than just a random TSA search and additional questions. Instead, these four letters can turn a dream vacation into a nightmare prior to departure. Should you be selected for this not-so-elite list, here is what you can expect on your next adventure. What Does “SSSS” Stand for? The "SSSS" brand stands for Secondary Security Screening Selection. One of two programs instituted by the Transportation Security Administration in the wake of the 9/11 attacks, this additional step in the security process was added as a protective measure to prevent questionable characters from boarding aircraft. Much like the infamous "No Fly" list, the "SSSS" list is a secret, and travelers can be added to it at any time without notice or warning. There is no way for travelers to know ahead of time if they have been targeted for "SSSS." Rather, if a traveler cannot check in for their flight online or at a kiosk, it may be a sign they have been added to this list. It is impossible to know what single action a traveler may have done to land on the "SSSS" list. In an interview, a TSA spokesperson told NBC News the "SSSS" designation was randomly selected by a computer. However, an anonymous official inside the administration also noted that passenger behavior can also contribute to the designation, including paying for a flight in cash or regularly purchasing one-way tickets. Frequent international flyers have reported the "SSSS" brand appearing on their boarding passes after traveling to particularly sensitive areas of the world, such as Turkey. One blogger reported getting the "SSSS" designation after she completed three consecutive international trips, followed by not having pre-paid her entry fees upon arrival in Argentina. 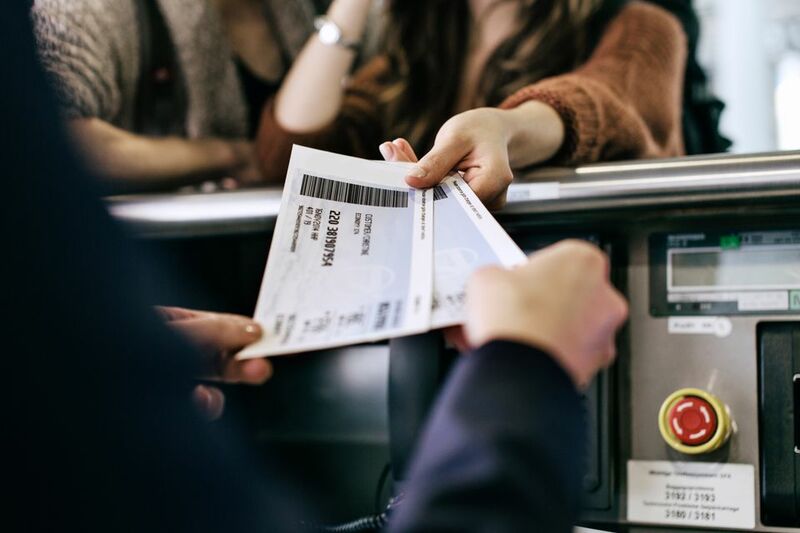 In addition to not being able to complete self-check-in for a flight, travelers who have the "SSSS" designation on their boarding pass can expect to answer a lot of questions from authorities during their trip. Gate agents may need more information to confirm a traveler's identity prior to issuing a ticket, including inspecting all travel documents, while Customs and Border Protection agents will often ask additional questions about previous and current plans. At the TSA checkpoint, those with "SSSS" on their boarding passes can expect the full security treatment, including a pat-down inspection. In addition, all luggage may be hand searched and swabbed for trace explosive residue. This entire process could add a lot more time to a traveler's itinerary, requiring travelers to arrive early to meet their next flight. Unfortunately, getting off the list is much more difficult than getting on the list. If a traveler receives the "SSSS" designation, they can appeal their status to the Department of Homeland Security. Those who believe they have been placed on the "SSSS" list erroneously can send their complaints to the DHS Traveler Redress Inquiry Program (DHS TRIP). Through this inquiry process, travelers can request a review of their files with the Department of Homeland Security and State Department. After submitting an inquiry, travelers will be issued a Redress Control Number, which may help them reduce their chances of making the secondary screening list. A final decision will ultimately be released once the inquiry is complete. While nobody wants to be on the "SSSS" list, travelers can take actions to make sure they steer clear of it. By understanding the situation and knowing the steps around, travelers can keep their trips safe, secure, and expeditious as they see the world. Stop posting pictures of your boarding pass!